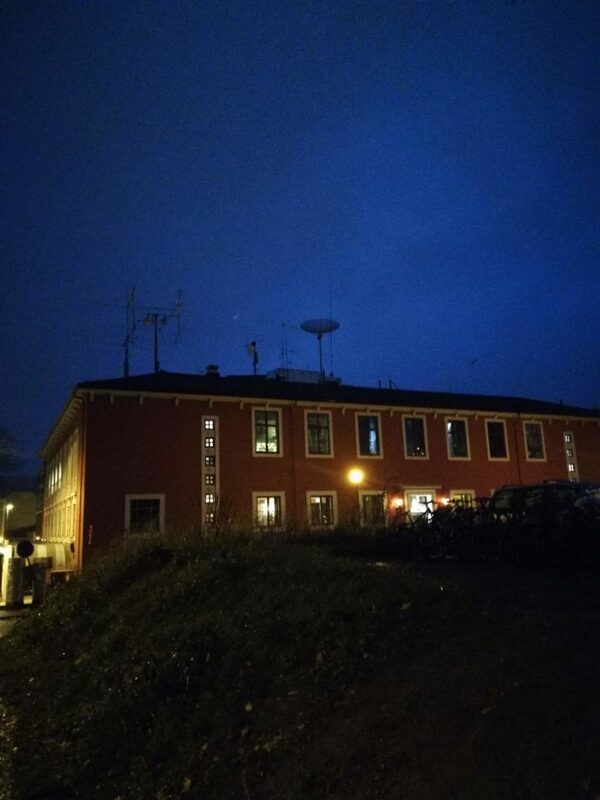 As hinted during a previous post, we’ve recently acquired a new addition to your antenna park: A BigIR antenna! Our main motivation is to get better chances for working DX on 80 m, 60 m and 40 m, so including the 80/60m coil extension was a natural choice. Our existing 80m dipole is low-hanging, meaning that it has a high radiation angle. 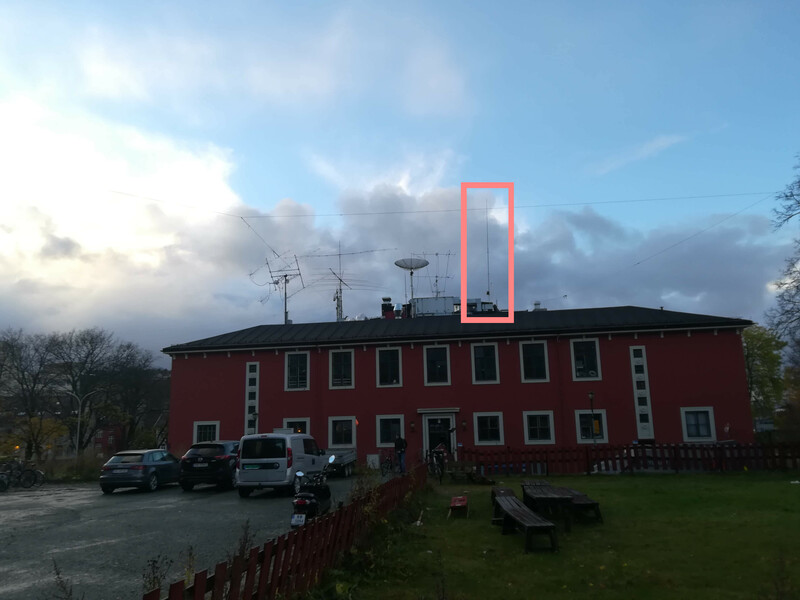 Corresponding reflections in mysterious layers in the ionosphere will not reach very far outside Norway, and the antenna is not suitable for DX. A vertical should on the other hand have more convenient propagation properties, because of its lower radiation angle. In addition, with the noise problems we suffer at Samfundet, the BigIR helps us out here by being nicely narrow-banded. To achieve this, it is motorized, and tunes itself towards the frequency of interest by changing its length. We’ve never had motorized antennas before, so naturally we are very excited by the BigIR, a foray into a whole new type of antenna. 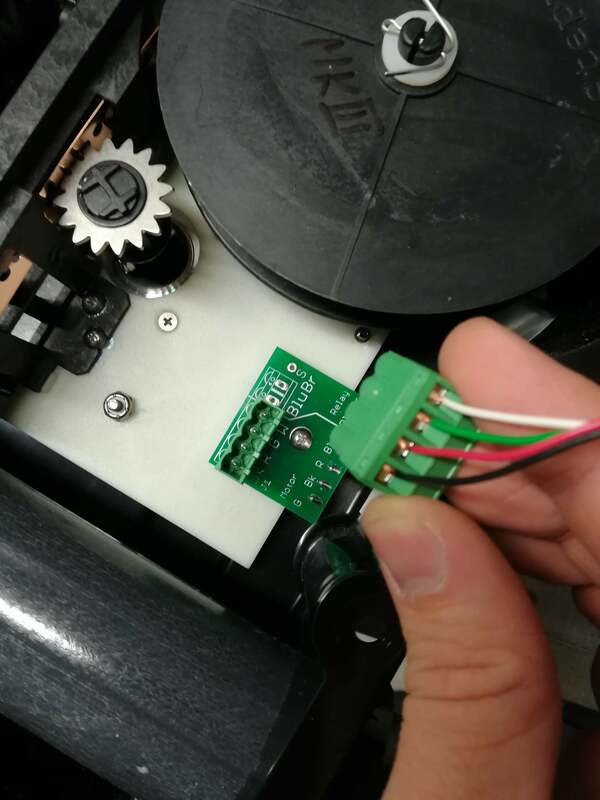 Unboxing the motor reveals how the tuning of the antenna is implemented by a stepper motor. 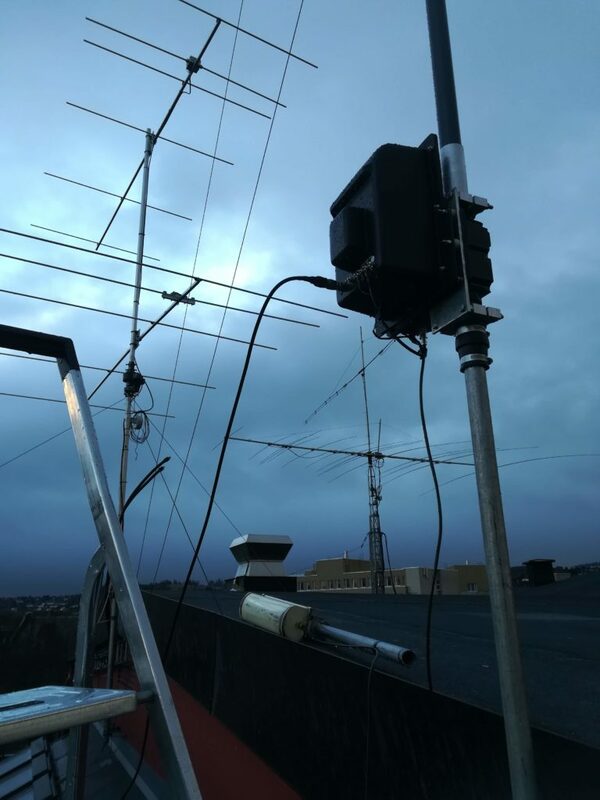 Tuning the antenna results in the coil being winded or unwinded, thus increasing or decreasing the length of the antenna radiator. 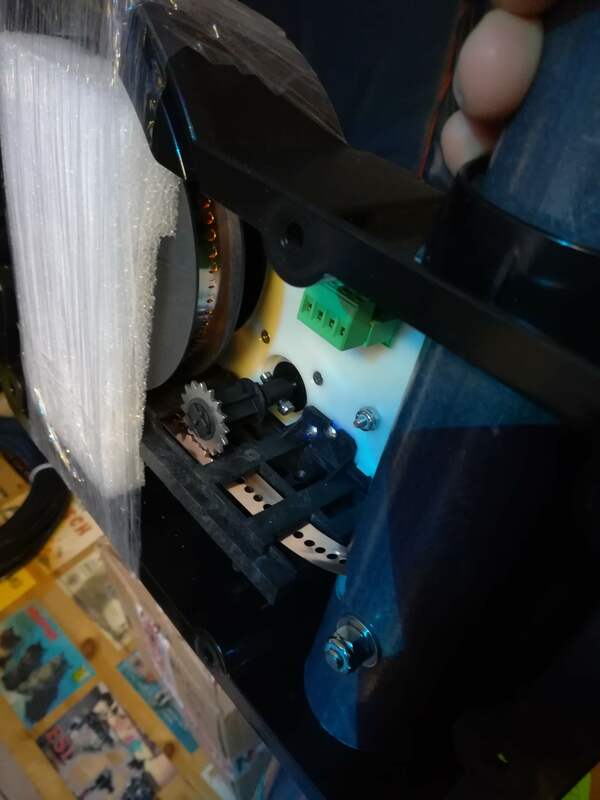 Inside of SteppIR motor box. Mounting the wind reinforcement plate. Close up of dielectric washers. Before we could get to mounting the antenna we had to do some wiring work. The instructions were somewhat convoluted, but we got things to work in the end. 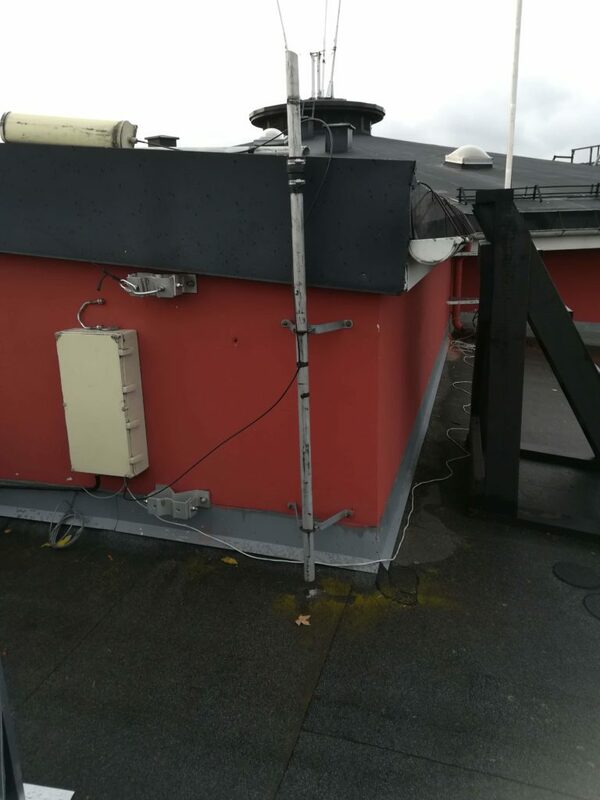 Our main concern was ensuring that the antenna got sufficiently waterproof, which was challenging due to some awkward design choices by SteppIR. 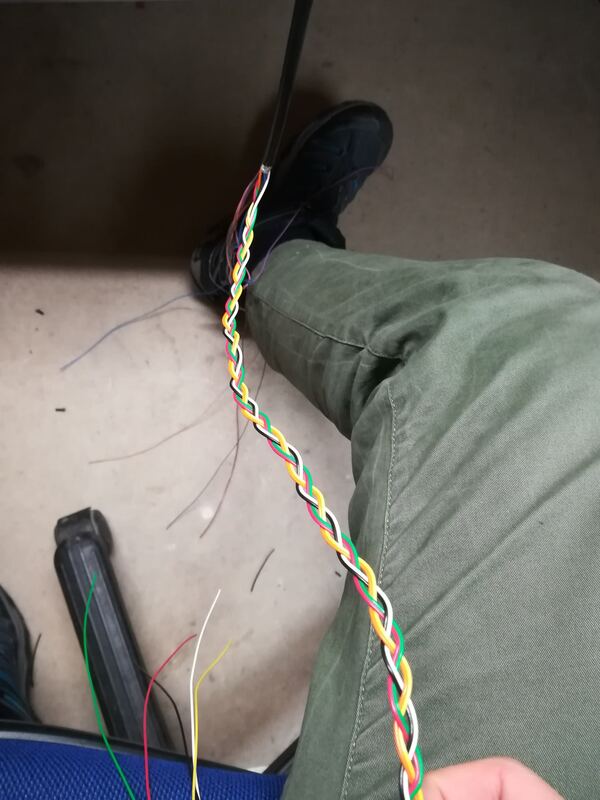 Braiding the wires to reduce possibility of interference. 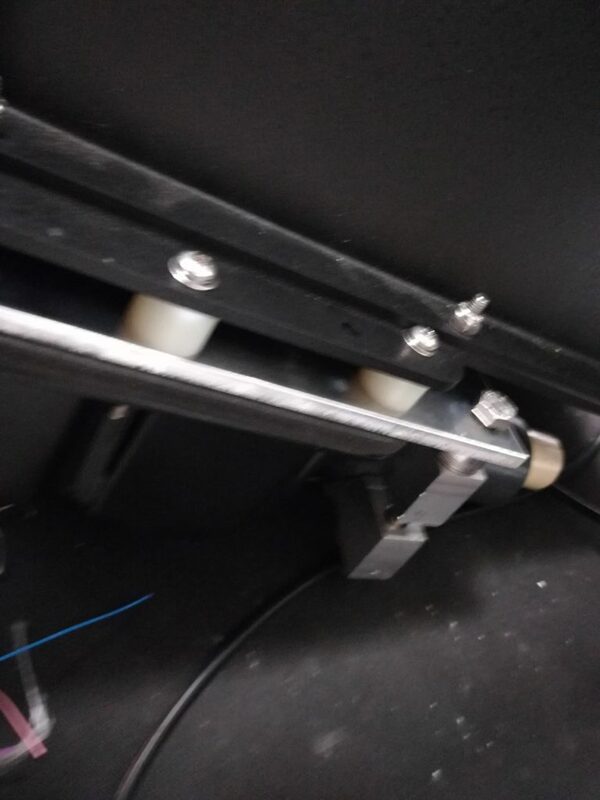 Placing the connection inside the SteppIR motor carriage. 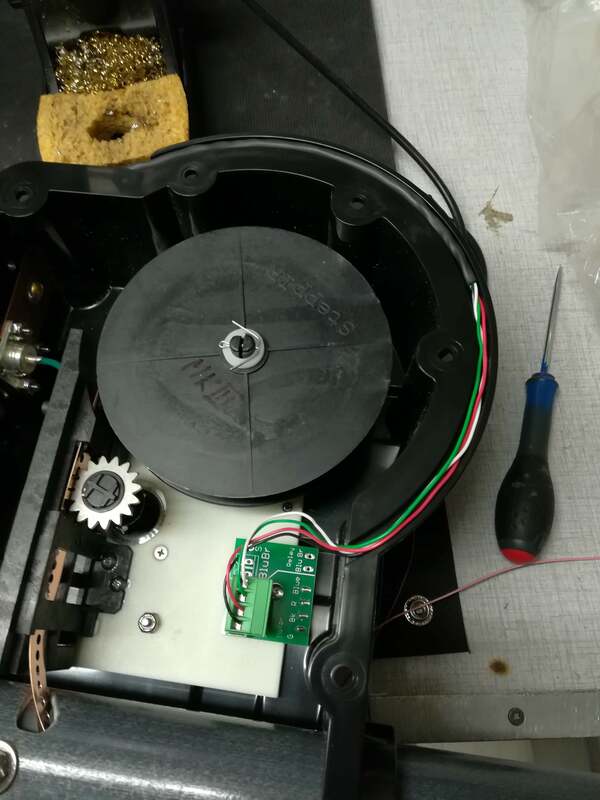 The wire is placed in a loop around the motor box, silicone is used to create a water seal around the control cable. Solder lugs and shrink sleeve tubing used to couple to the optional 80/60 m coil extension. 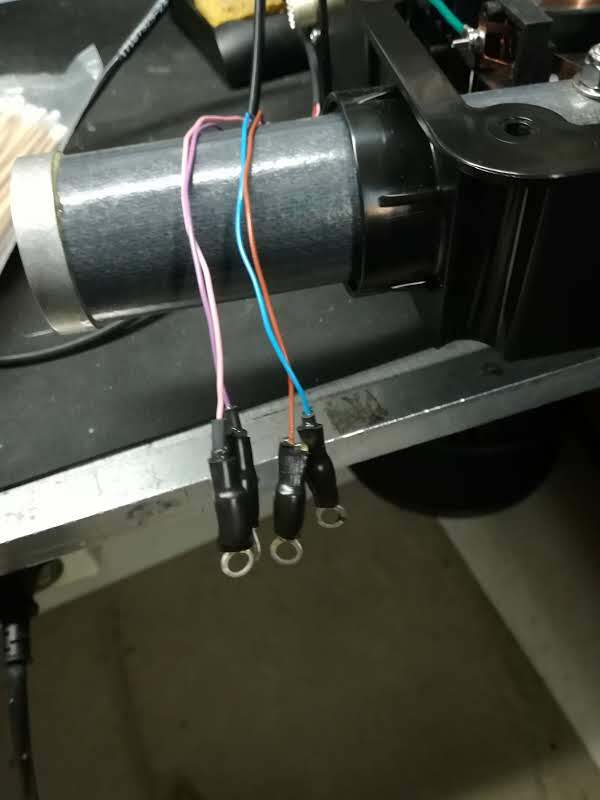 The first evening session was spent scrutinizing the manual and assembling the motor/coil housing. Afterwards we continued to assemble the glass fiber elements. 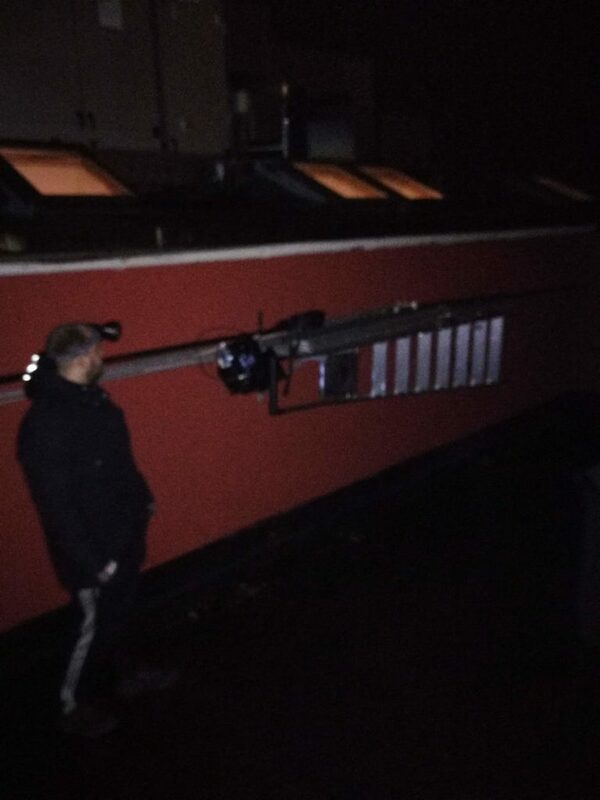 Unfortunately it got too dark to complete the installation in one night, so the parts were stowed on the antenna rack during the night. Henrik (LB5DH) and Jenny (LB4EI) demonstrating finely tuned headlamp manual reading technique. Julian (LB5QG) inspecting the days work. Eager to get everything assembled, we reconvened the next afternoon to create the guy lines and discuss the strategy for mounting the rest of the antenna. We spent a bit too long dwelling, so it got dark again – but the next afternoon we were ready super early. 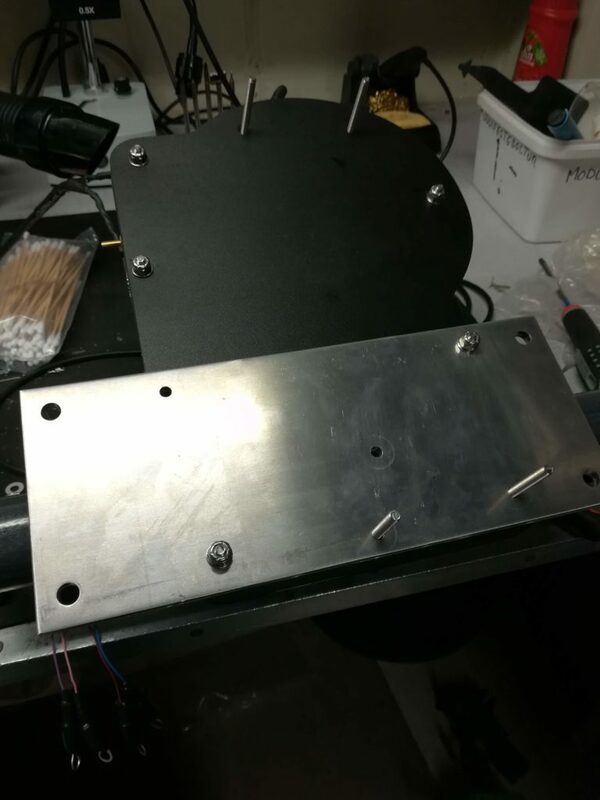 The intended mounting post for the antenna. Jens (LB6RH) tying up the guy wires. BigIR seen on the roof to the right. 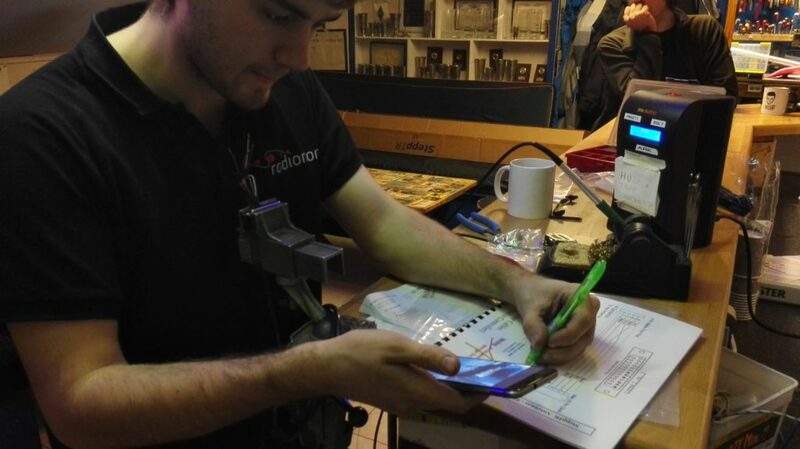 Magne (LA1WUA) captured some nice panoramas depicting the working conditions :). Having assembled the antenna, it could be mounted on its mounting post. Well, that’s a half-truth. We also had to spend about 1 hr 40 min on grinding down the diameter of the aluminium tubing we had installed. Next time we will measure carefully with a caliper :). 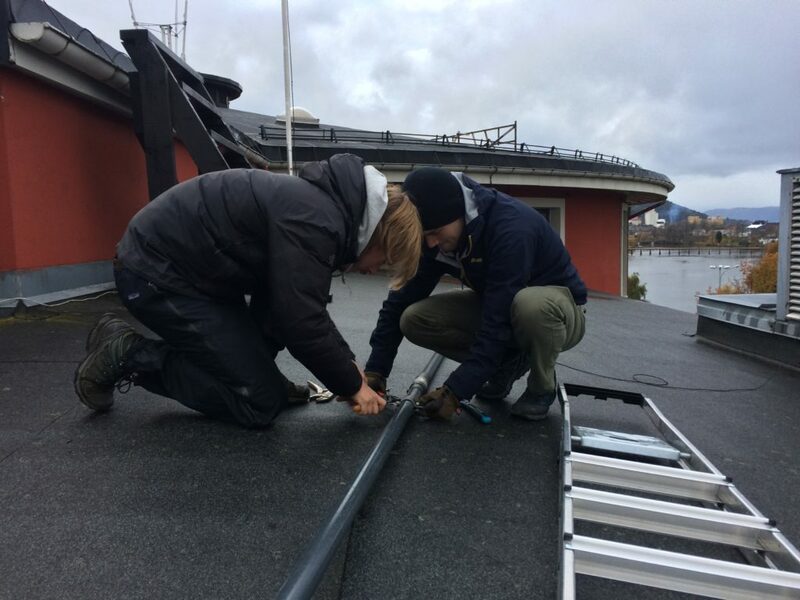 We raised/lowered the antenna a couple of times to get the right lengths for the guy wires. Bit dark for a glamour shot, but the BigIR is sort of visible. Night fell again, so we had to come back the next day for running the control cable wiring inside. Reference picture of the box to remember which wires go where. 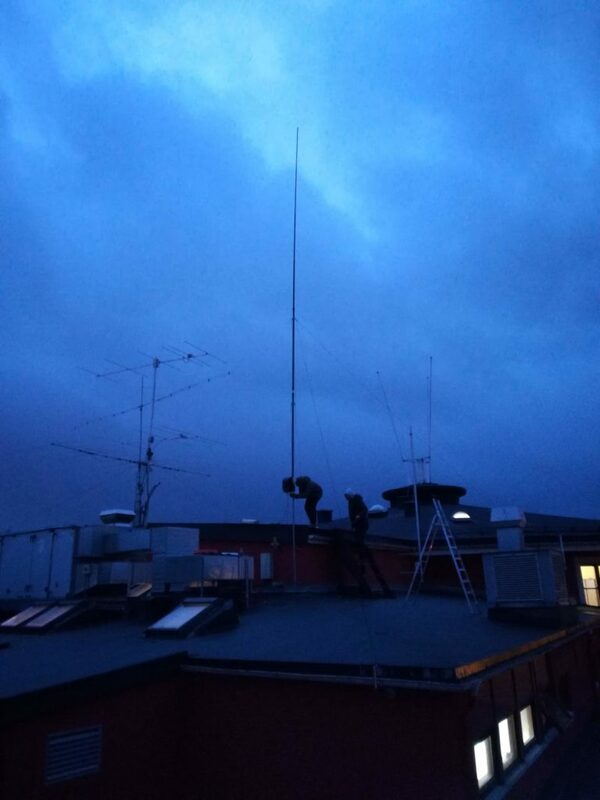 We have recently installed heliax for our 4m/6m antenna stack (on the left). The old coax for the 6 m antenna saved a bit of cable pulling. 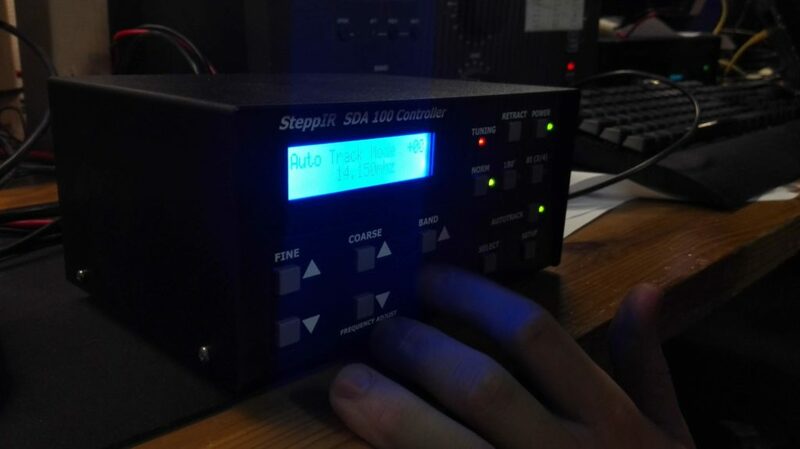 The BigIR was shipped with an SDA100 controller, which steers the motorized tuning of the antenna. 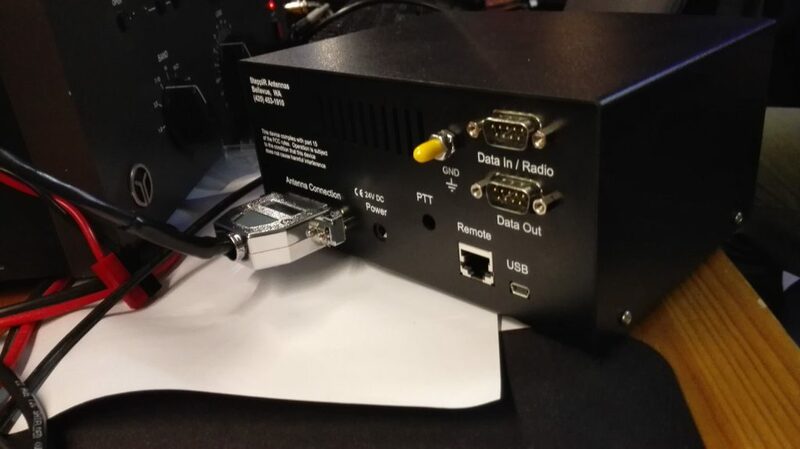 At the back of it there is a DB-25 connector that connects to the control cable. LA3WUA faithfully pulled the control cable inside, and then set to soldering it onto the DB-25 connector. 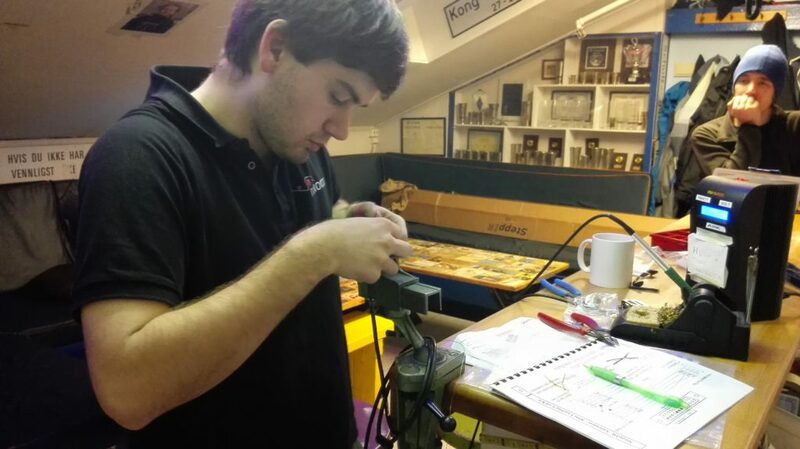 After soldering the cable we got to test out the controller. Eager to check if it worked, LA3WUA sprinted to the roof – and was happy to hear the motor buzzing away. We still need to find a solution for the ground plane that works for us. 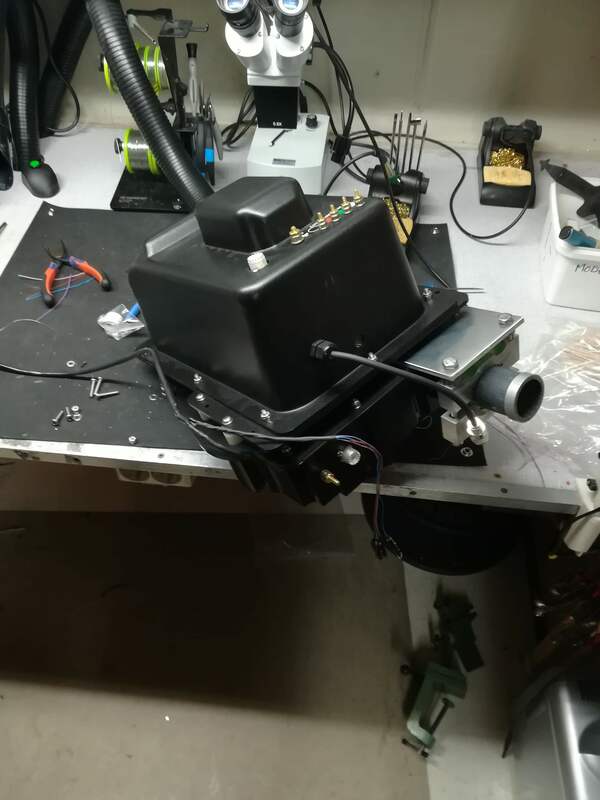 For now we have connected the antenna to a single counterpoise, as well as the chassis of the nearby air condidioning unit. Because of this the match is a bit finicky, but we got it to work well enough to work a couple of QSOs :). 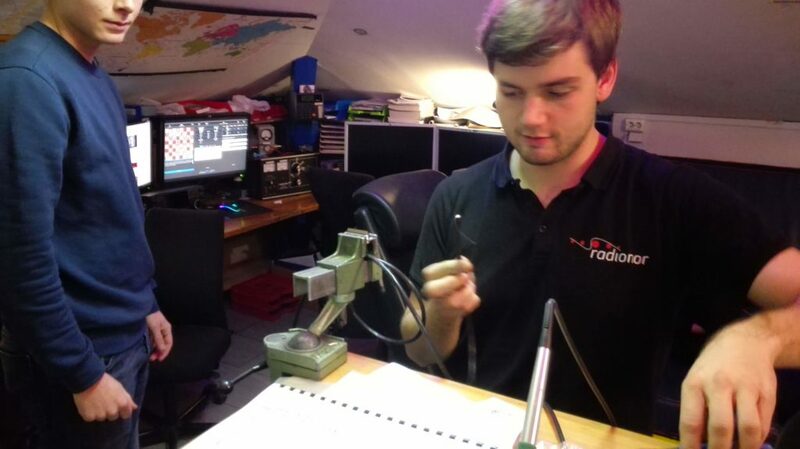 Noise was also a bit high, so we also plan to install a unbalanced-unbalanced choke at the antenna input port. 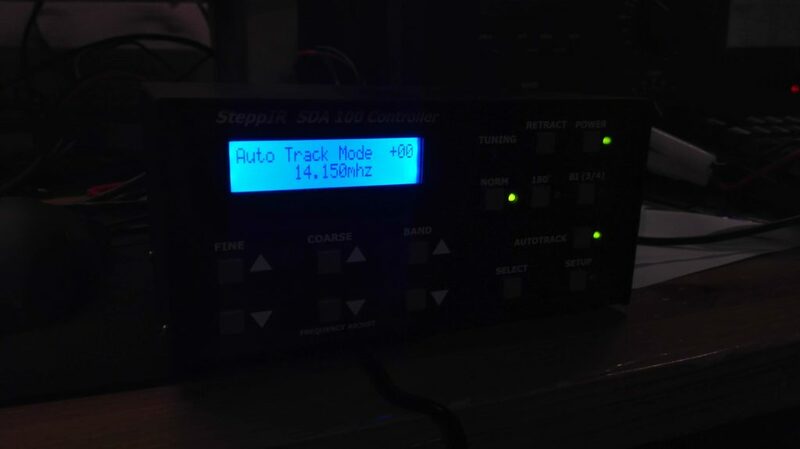 SDA100 has functionality for software steering. 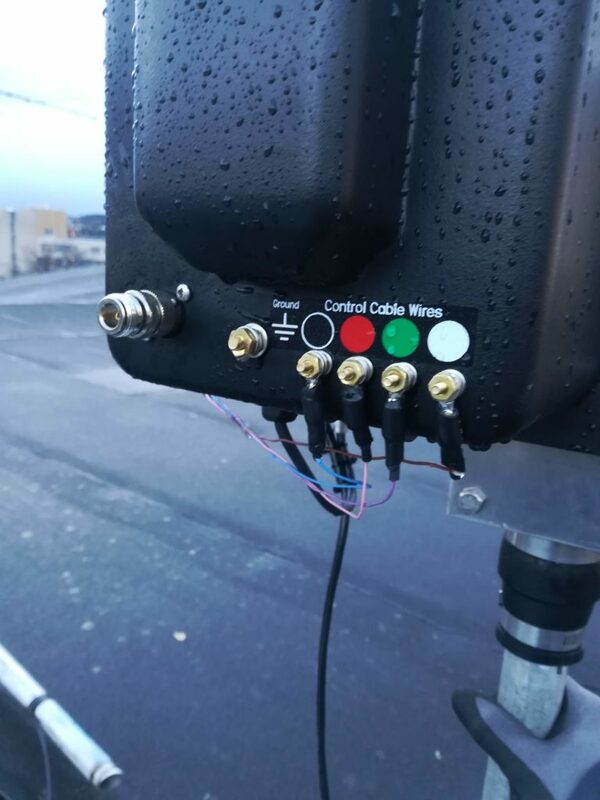 We have some ideas here for how to control it from our rigs in an least-effort way, which we’ll come back to once we’ve developed a prototype. 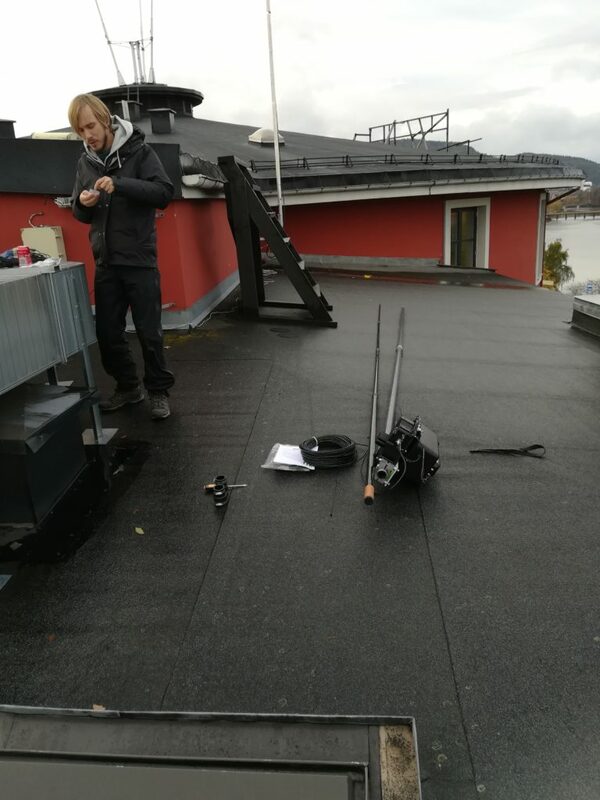 We’ll tune the antenna “manually” for the time being. Besides the frustrations of suddenly working with imperial units (shoo! 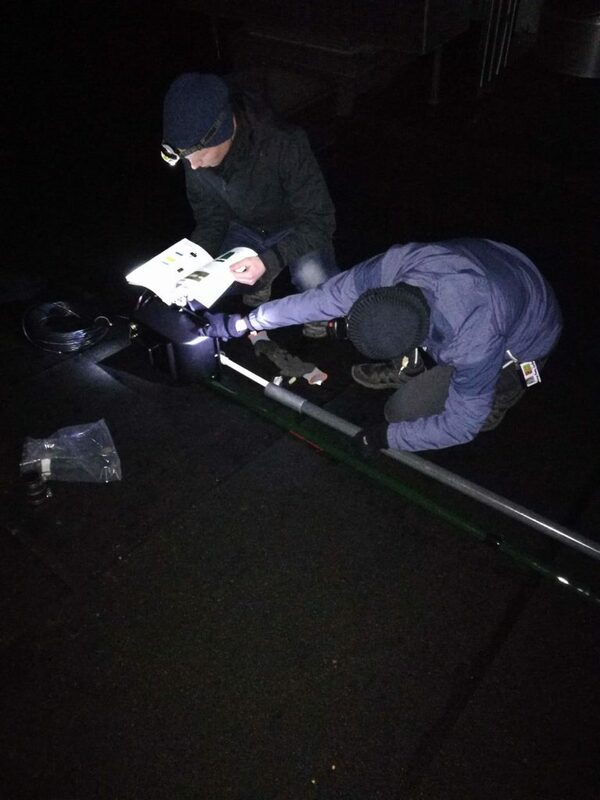 ), we had a lot of fun assembling the BigIR antenna. 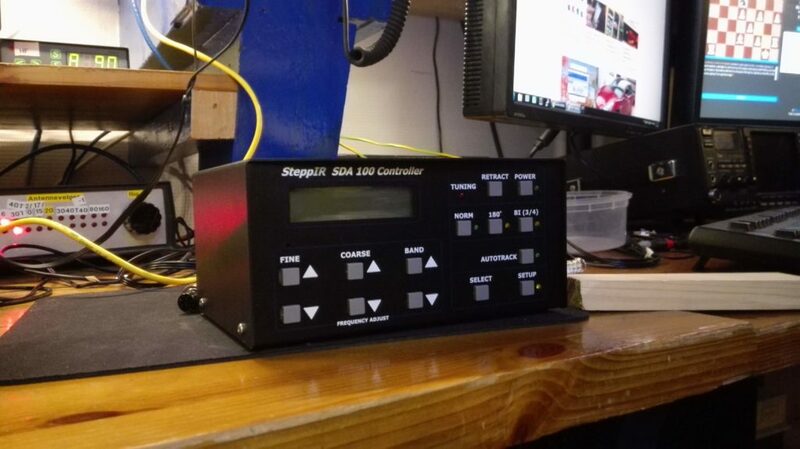 It will be nice to have another workhorse for getting those far away DX contacts!